Old time Dodger fans can't forget it, and modern Dodger fans are constantly reminded of it. As the old saying goes, "those who forget history are doomed to repeat it." So, I hope the Dodgers don't rest on their laurels. 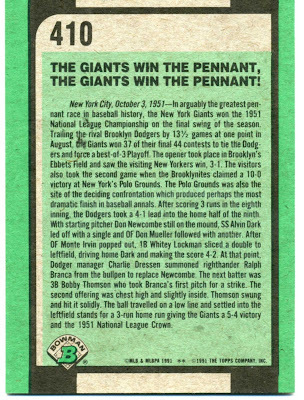 Here is this weeks "Card of the Week" from 1991 Bowman Baseball #410. 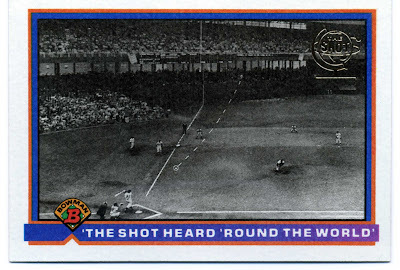 It commemorates the infamous "Shot Heard 'Round The World." Below is the reverse of the card. Click either pic to enlarge. If I'm not mistaken, please let me know if I'm wrong, this card along with a handful of others in the set was the first time shiny gold foil was inlaid onto a card. It was a huge development in the hobby and lead to dramatic changes in card design over the years. 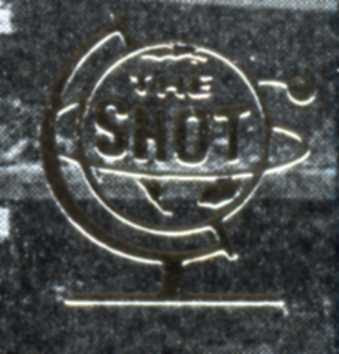 Below is a scan of the gold design of a globe and the words "The Shot" in the middle. Cloneburgers with cheese, R2-BBQ pulled pork sandwiches, and Ice Sabers (popsicles). The evening will start with autograph alley being filled with Star Wars characters. 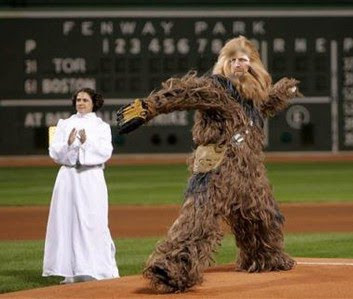 Then, a pregame show will pay tribute to the movie epic. Fans can wear costumes. But, be forwarned, no light sabers allowed. 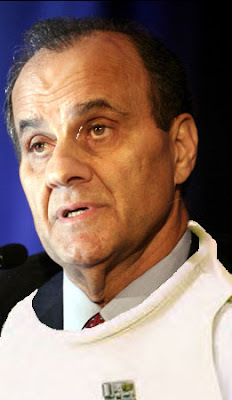 So, in honor of this special occasion, I've decided to make my own nerdy photoshop pics.